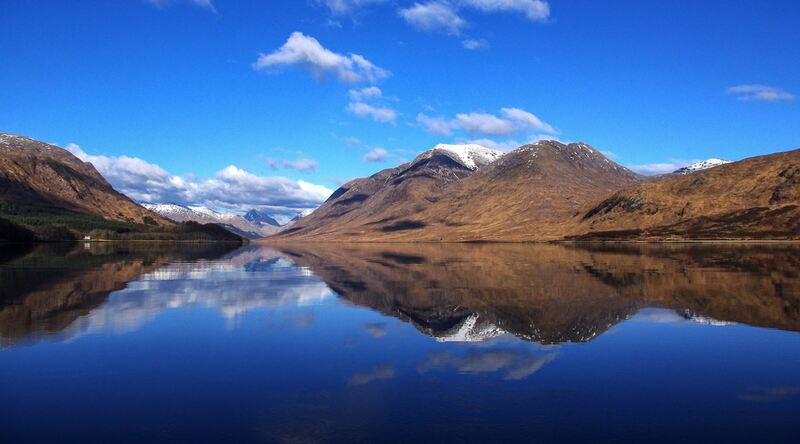 Loch Etive is a particular favourite of mine, especially over the winter months. It penetrates deep into the Argyllshire mountains and is often far more sheltered than anywhere else in the country. Couple this with a good range of species in decent numbers and you have a great venue which will fish happily when others struggle. 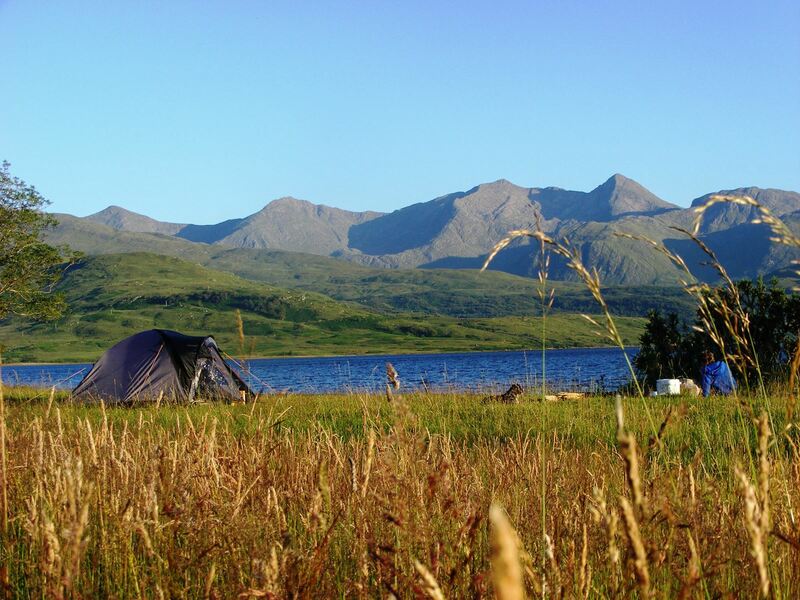 With a little effort you can also find yourself camping as well as fishing in the wildness of the upper loch. No roads and almost no people, if you like a bit of solitude and appreciate the sound of silence, then try exploring a little. I’ve produced a few videos of camping and fishing Loch Etive, which are linked individually at the bottom of this page – or you can just click on the playlist below to see the lot. It can be let down by large numbers of small spurdogs, but there are reasonable numbers of double figure fish still around for the taking. 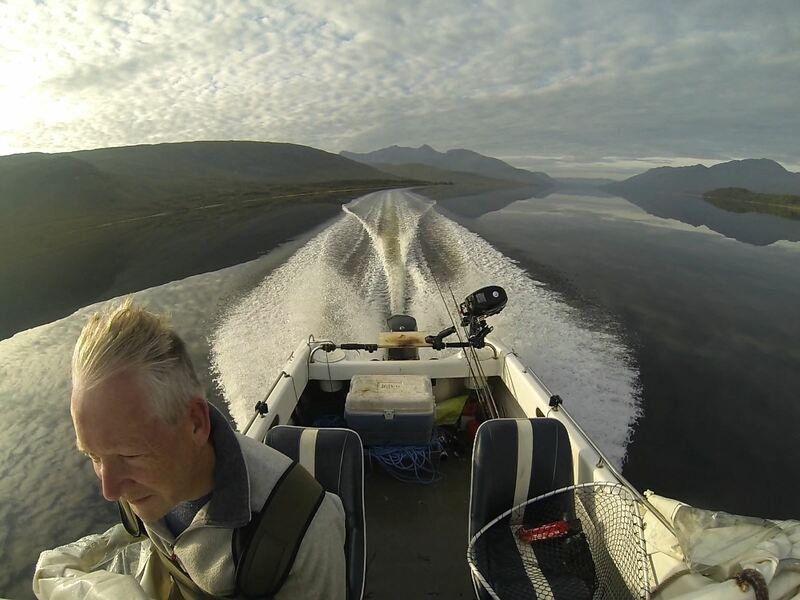 The real kicker for me is the ability to access some very remote country quite easily – the upper loch has almost no inhabitants and no public roads, and you’ll often be the only creature on the water apart from the odd seal and an occasional otter. 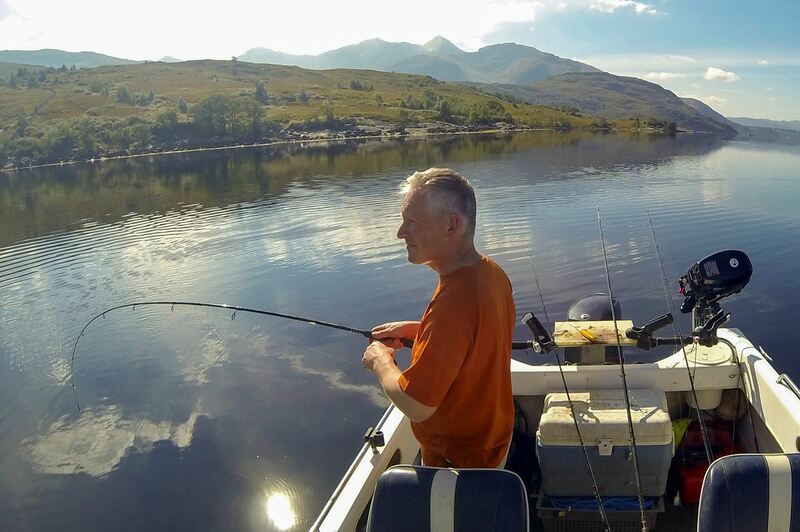 I usually fish from my own boat, but occasionally do a bit of shore fishing as well, and there are small boats available for hire (try Taynuilt Boat Club). Almost everyone launches at Taynuilt, using the beach alongside the old, stone-built, Kelly’s pier (not the concrete pier at the end of the road, which is much trickier). Easy towards HW, but quite a shallow launch at LW, any modest sized boat can be launched using a 2WD vehicle although a rope may well be handy to recover in the bottom part of the tide. Also beware a large pile of rocks lying parallel to the head of the pier – as long as you stick close in to the pier coming in or leaving you’ll be fine. You can sometimes find large piles of seaweed on the beach over winter, and a fork to shift it might be handy if it gets too extreme. Once launched you can go “up” the loch by passing through the Bonawe Narrows and heading NE to reach the very remote country described above, or else head west “down” the loch into more genteel territory. Fishing-wise it’s a bit of a toss-up, but I have probably had more fish down towards Airds Point and Ardchattan. 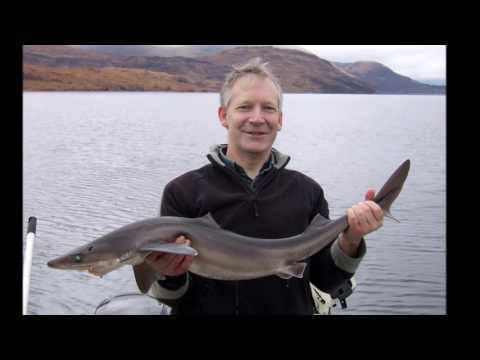 The very deep water (almost 500 feet) found NE of Bonawe rarely produces much except small fish in my experience, but there are other marks well up the loch which hold good rays and spurdogs. 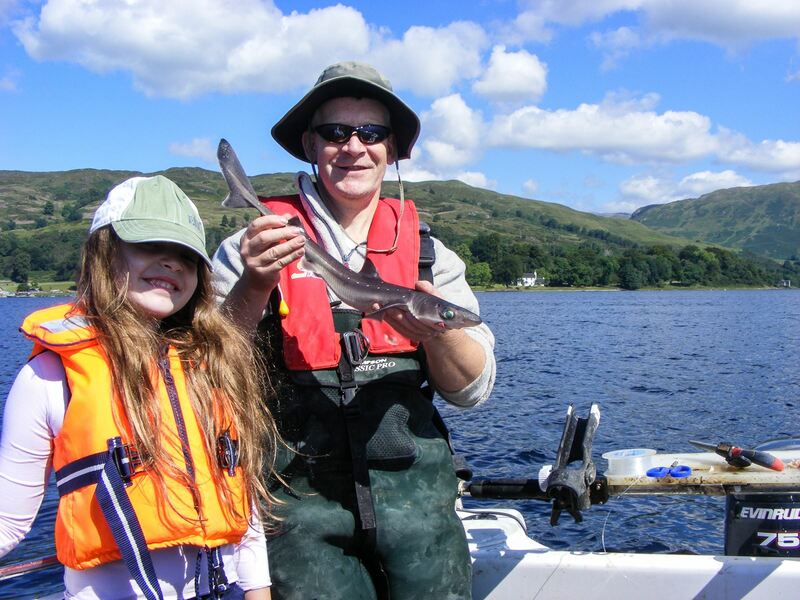 There’s a very long list of species which have been caught from Etive, but the main ones are spurdog, thornbacks, dogfish, whiting, codling, pollack, grey gurnard, pouting and mackerel. Everyone has their own opinion, but tactics are pretty straightforward – a modest sized mackerel bait on a 2/0-6/0 hook fished on the bottom will take most species. Many embellishments are possible (luminous beads and muppets are very popular), and baited hokkais can also be a killer, but it doesn’t pay to agonise over the options. More important is to replace baits regularly and not let them sit washed out for an hour or more. I usually use a 12-20lb class rod with braid and a small multiplier and add a 6 or 8 oz weight, but it is perfectly possible to fish a spinning rod and 2 or 3 oz of lead (you just need to be patient waiting for the lead to hit bottom in deep water…). Tackle losses are minimal, unless a spurdog bites through the line. Even in deep water you’ll often find the fish switch on as the light fades, and I’ve had many good catches simply by fishing on after dark for an hour or three – although it can make for a more interesting run home in pitch darkness if you’re fishing well up the loch from your own boat. 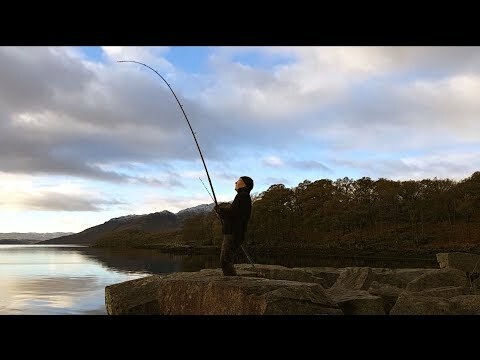 I don’t fish Loch Etive too often from the shore and am definitely not the best source of advice on where and how to do it. That said, I do enjoy a day ashore and I don’t blank all that often on the loch. My gear is almost as old and decrepit as me these days, so you absolutely don’t need state of the art kit. I’m usually just targeting spurs and rays from the shore, so a straightforward pulley rig tied from 80-100lb line is all I use. Beads locked in place by a crimp provide added protection from a spurdog’s teeth, and I usually use a single 4/0 hook and a 6 or 7oz grip. A simple pulley rig works very well, although I normally add beads just above the hook for some added protection from sharp teeth. I normally just use mackerel strip as bait and it seems to do the job just fine. As for marks, most areas seem to hold spurdog at some point. 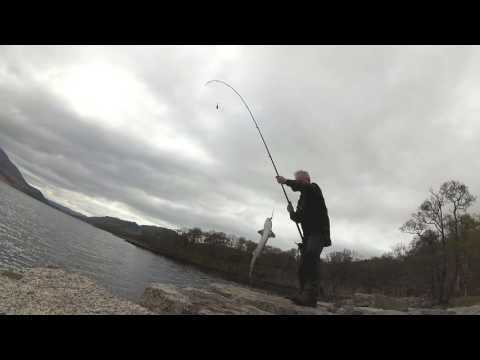 I prefer to avoid the strong tides found in the Bonawe Narrows, or the shallow marks near the Priory – some good fish definitely come from these spots, but it seems very hard work with quite a few blanks. The really deep water further up the loch is fun to experience a few times, but again seems to involve quite a lot of work for the fish taken. If you haven’t cast into 300 feet of water and spent over a minute watching your spool empty as the bait sinks to the bottom, then you should definitely try it. 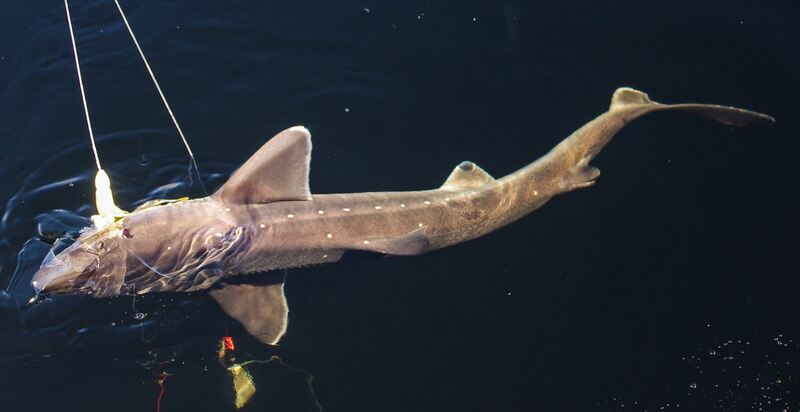 Just don’t assume you need deep water to catch spurdogs – you absolutely don’t. That kind of leaves water in the 40-150 range, without a strong tide, as my preferred environment round here. Fortunately there’s a lot of Etive’s shoreline falls into this category so you’re spoiled for choice. My experience is that fish usually show up at some point, provided you’re prepared to wait for a while. Shore fishing does seem to be better at night, but you can catch perfectly well in the sunshine – although typically from deeper marks. Combining fishing with a night’s camping is an attractive option if you head up the loch, and there are several very quiet spots where it’s possible to moor up for the evening and take a tent ashore. Just keep it quiet and litter-free and there’s no reason for anyone to bother you. Boat camping isn’t the only option and you can find a spot to combine an overnight stay with a few hours fishing – if you’re prepared to hike for a bit. Travel light and leave no trace is a pretty good mindset to adopt. Generally I prefer to camp outside midge season if I can and I’ll take a bit of cold over a swarm of no-see-ums any day. The main drawback of a mid-winter camp is really the lack of daylight, which is why camping alongside your fishing mark makes life easier. Many of the camping spots around Loch Etive have long established fire pits, and I don’t feel guilty about using them. However, you definitely don’t want to set bonfires all over the place as the ecosystem round here takes a long time to recover from any damage. 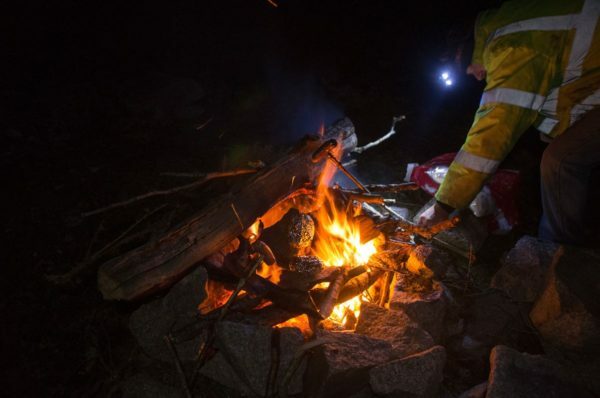 Nor do I have any problem with using driftwood on a fire – but chopping green wood from a living tree is just pointless. I normally take firewood in with me if I have Alcatraz, or some coal/charcoal if I’m hiking. You can see all my posts relating to Loch Etive here. There’s a link to an Etive playlist at the top of the page, but each video is also shown separately below. 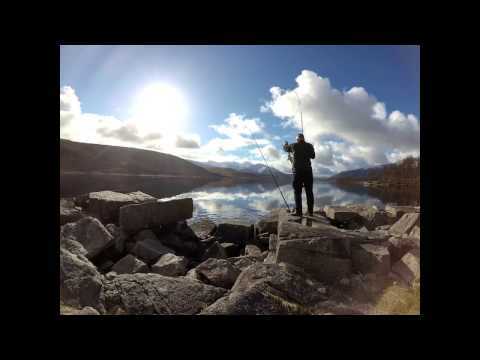 My “intro” to the loch, mainly boat fishing and camping in the upper loch. My favourite has to be a couple of days in mid-September where it was completely calm, giving some great shots of Alcatraz on the loch. A yomp with the dog for miles along the shore from the Glen Etive end and a few hours fishing. Probably more productive than I deserved, but it was a magnificent day to be out. Bonnie can be a bit obsessive with the stick throwing but she does like to explore new territory too – and she never eats the bait either! Our first trip out in Alcatraz for 2017 saw a slow session near Ardchattan turn into a beautiful sunny day well up the loch. Ok, the fish were smallish but they were around in decent numbers and it was fun catching in millpond conditions. Not what you expect on a typical January day in Scotland. And another shore session with Bonnie for company again, this time around Easter and getting a little warmer! I reckon I squeezed in just before the midges started waking up for the summer. 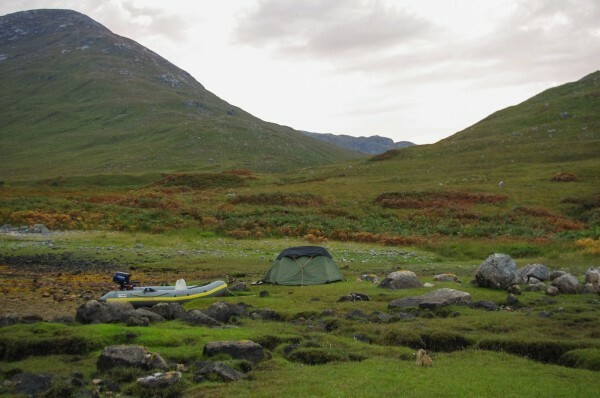 A very memorable overnight camp on the shores of Etive in mid-November. Cold, clear and windless – with a tent, campfire and juicy steak on offer. 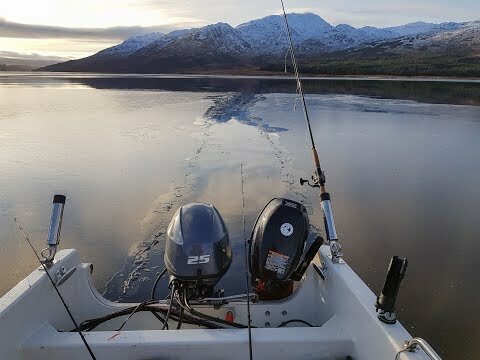 And fishing on ice, a boat trip in December 2017 with loads of ice covering the surface of the loch. Still plenty of fish though. thanks for your informative post. Staying at Dundonald Landing right on north shore of loch etive for a week in Aug 16. Taking kayaks but mostly looking at shore fishing, hopefully from the jetty that is right in front of the cottage. Any ideas on what I can hope/expect to catch at that time of year and any suggestions for where to head and tactics? I’ve never fished near the landing, but it may be very similar to the mark known as the priory which is about 1 km east of you. Fairly shallow water and night fishing seems to be best for spurs and thornbacks. There is also the windsock mark (the airfield to the west of you) which is mainly fished for spurs but has a strong tide flow. Google “Etive windsock” will bring back loads of shore reports. I’ve had some success fishing the little point just west of the Abbots Isles on the south bank, which has easy parking and access to a bit deeper water (60-80 feet). 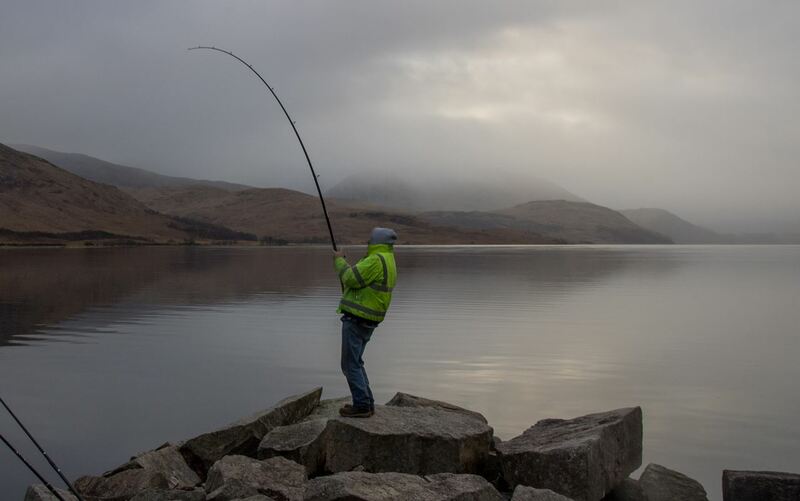 If you’re prepared to walk a bit then there are marks on the north bank about 1-1.5 miles west of the quarry at Bonawe, but these are more for the novelty of shore fishing into 250+ feet than for better fishing. August is pretty similar to the winter months in terms of fish, although I can’t recall many large spurdogs at this time. Mackerel can be hit or miss in Etive but the fishfarms at Ardchattan and Airds tend to attract them – sometimes quite small though. As long as you stay clear of any workboats the guys on the farms are generally friendly enough. Mackerel is pretty much all you need for bait, although rag will take Pollack around the rockier areas. 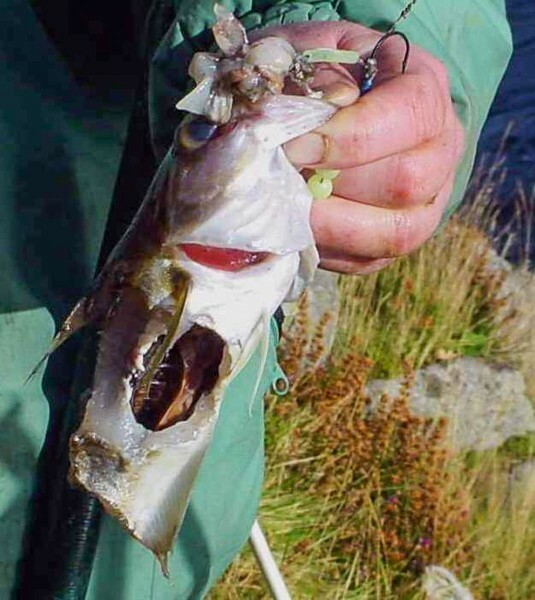 Some of the shallower parts of the loch, say 20-60 feet deep around the edges, are stuffed with small codling and other tiddlers which are suckers for small baited sabikis. Most will be undersized but there is the odd bigger one, and you can pick up decent ling and other species when fishing for spurs, either on baited hokkais or using a leger style rig. Using the kayak will definitely improve your fishing unless you fish at night, and has the bonus of avoiding the midges. 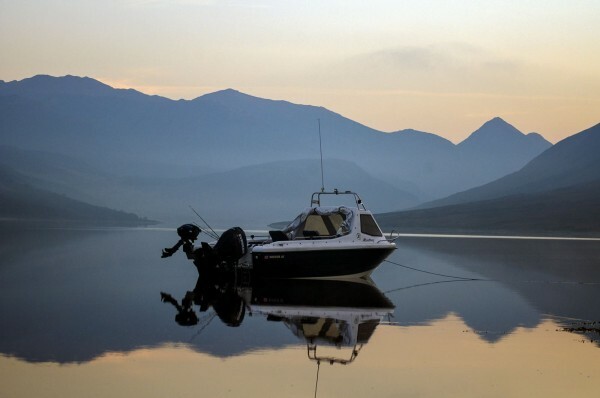 If you have the kayaks you’ll be missing out if you don’t spend a day exploring the loch above Bonawe narrows – with or without a fishing rod – as there is some spectacular scenery up that way. There is an issue with litter on some of these marks and (unsurprisingly) quite a bit of sensitivity locally about this, so do take care on this point. Hi – you’re usually OK for parking just where you launch at Taynuilt. No real hazards on the loch, although I wouldn’t want to be out in a SIB if it turns windy. Possibly watch for the submerged rocks at Inverliver Bay (other side from Rhuda Barr), although they are charted and mapped. Best to stay away from the mouth of the River Awe as well, to avoid submerged branches. 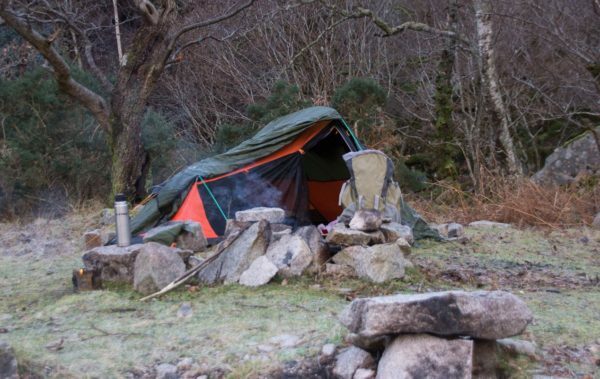 Hi i am planning a wild camping trip this weekend and looking to fish. Do i need a permiot or permission to Fish and is there anywhere on the north shore of the lake you would recommend to pitch for the night? 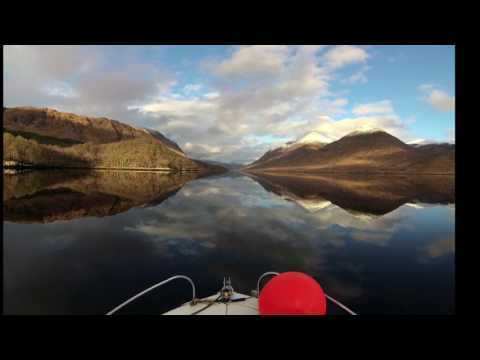 I’d really like to come and fish Loch Etive on the Kayak, it’ll probably be in a months time. Can you recommend a half decent place to fish for a couple days? Also what wind direction is calmest for the Loch as I’ll keep an eye out on the forecast. And lastly what species are showing this time of year? Hope for some mackeral too. Sorry for the essay any help is much appreciated! 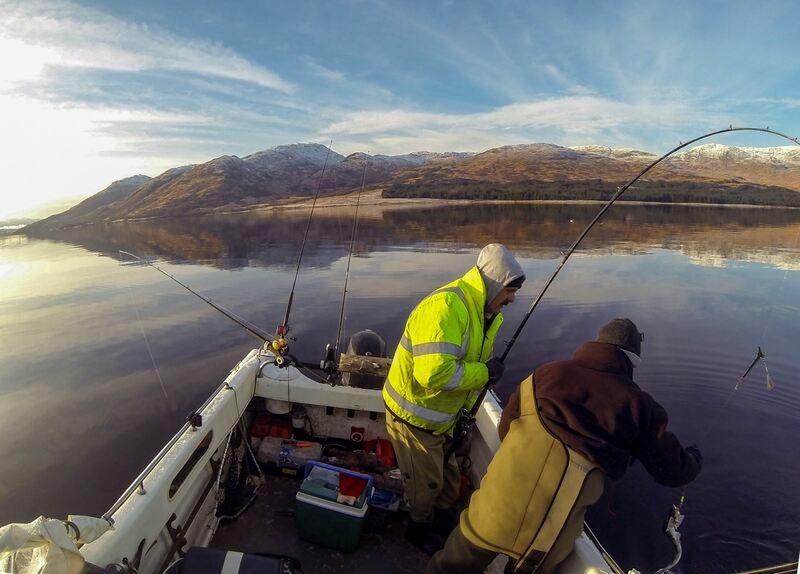 The species on Etive don’t change that much over the year, so you’re targeting thornbacks and spurdogs at anchor and smallish codling and some pollack nearer the edges of the loch. I definitely wouldn’t rely on finding mackerel for bait though – there can be loads around, or be very hard to find, usually the latter. Wind? 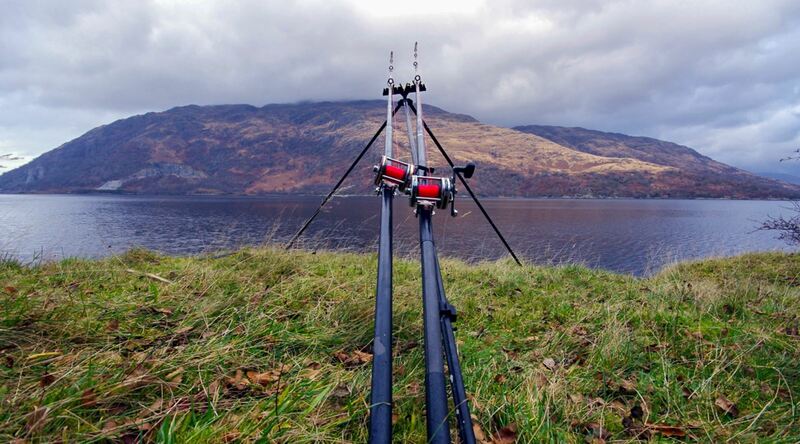 None is obviously best, but failing that then NW or SE are probably best – but the wind can vary tremendously from place to place on the loch as it is so affected by the mountains and surrounding valleys. I tend to avoid it if the forecast is in double figures, although that’s because I find catches nosedive rather than any safety issue. Marks to fish? One problem with Etive is that the fish seem to move around, which can make it difficult to find them with a slow moving kayak. You can catch just about anywhere – sometimes! I’ve caught just off the mooring buoys at Taynuilt, and between the fish farm and Airds Point, and I regularly try down near Ardchattan. 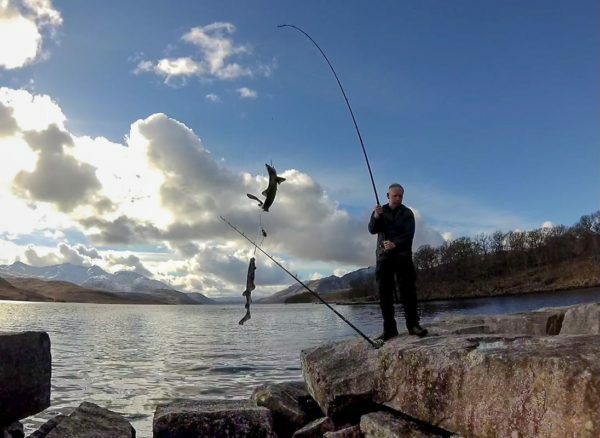 If you go through the Narrows at Bonawe there is reasonable fishing near the fish farms on the south bank – the ones further up the loch are in 300 feet of water. Simple mackerel baited rigs are best, but with wire or thick mono to stop spurs biting you off. Thinking of a trip to etive this weekend. Is there an area that can be shore fished at any tide state that is suitable for camping? Any help appreciated. Thanks. If you’re prepared to walk a bit then there are deep water marks on both sides of the loch that you could camp on, heading NE from Bonawe Narrows. About 3 miles from the quarry at Bonawe there’s a spot you could camp right alongside the water on an old pier, if you were discreet. There are other places around the loch as well but not necessarily where you can fish, camp and not hack off the locals (there’s a lot of people unhappy with the behaviour of campers who generate too much noise and rubbish). 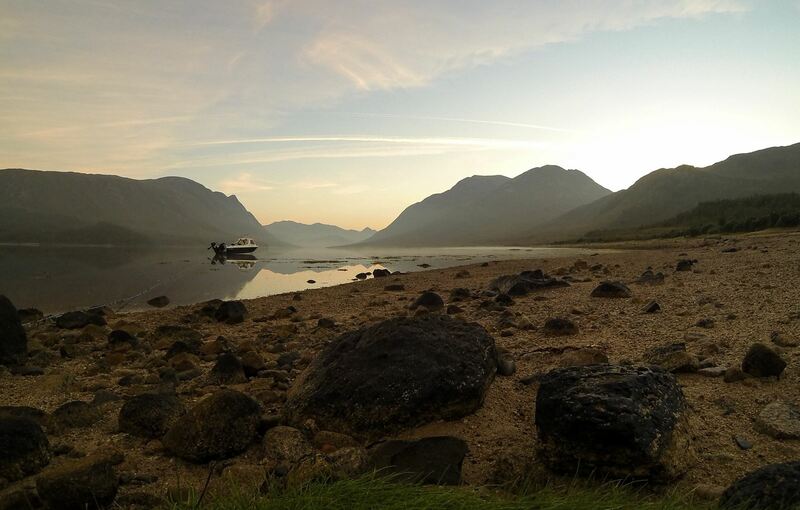 You can also hike and camp from the Glen Etive side – but the hike can be hard going and the fish are smaller, although definitely better from a camping perspective. I launch at Kelly’s pier, which isn’t the same one as TFC use but is on the other side of the bay, parallel with the River Awe. I don’t think you can use the TFC pier for launching, unless it’s been greatly improved in the last few years – everyone I know uses Kelly’s pier. It’s best to keep close to Kelly’s pier when launching and follow the line of the pier as you go out into the loch until you are completely clear of the pier. About 20-30 yards parallel to the pier is a shoal area which isn’t at all obvious at mid-tide, and keeping 10 yards parallel to the pier avoids this hazard. The first minute of my video on Etive – https://youtu.be/FwmNPxxMGYQ – shows me launching a 165 at Kelly’s pier around HW. The ground here is fairly firm stony sand and I’ve never had a problem with bogging down the trailer. However the beach does get a bit steeper towards HW and you might wheelspin getting a 175 out with a 2WD – try towing parallel with the beach rather than heading straight up and you’ll probably be OK. At this time of year you might need to clear weed from the beach to improve access, but it depends on whether there’s been a recent storm or not. My inclination would be to launch around HW and recover perhaps 2 hours after or 2 hours before the next HW. You can recover at any time really, but the beach is quite shallow and you might need to rope a trailer out if you recover 2 hours either side of LW. Do any of you know if I need a permit to fish the mouth of the river Awe, Airds bay. I would assume not as at that point is part of the loch and salt water. If you’re after salmon or sea trout then almost certainly yes, but I don’t know who has the rights there or how to get a permit. For “normal” sea species like spurs, rays, cod, etc. then no permit is required anywhere. I only ever camp up the northern part of the loch, above Taynuilt, and you’re on your own up here. I attach a pulley system to my anchor and use that to moor a little off the shore. There is a good bay on the northern shore near Barrs and several options opposite that beach, but it very much depends on the weather and wind direction whether you can find a safe spot or not. In many places the loch is deep close inshore which complicates things. Hi Calum – Barrs is on the northern bank of the loch, about half-way between Bonawe and Glen Etive. You might find quite a lot of very small fish at this time of year though, especially if you head further up towards the head of the loch. 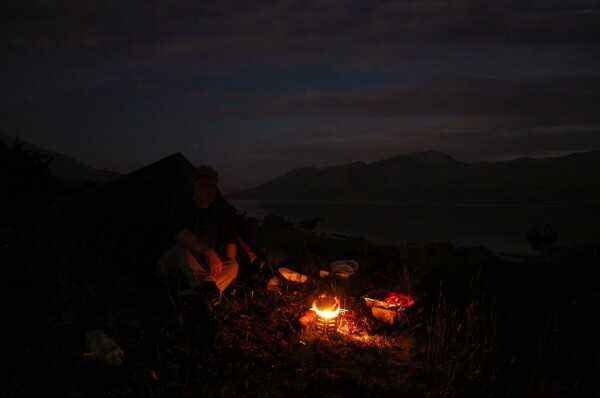 Im planning on a friday fishing with overnight camp at loch etive in a months time. Hiring a boat hopefully from the boat club. Could you recommend any camping areas that are accessible via car / small hike. And anything we would need to watch out for. Thanks if you can! There aren’t that many places you can camp and fish without taking a fair hike from the car. It’s possible to do both round by the church at Ardchattan on the northern bank, and there are a few other spots along this road where a tent could be squeezed in. There are a few spots beyond the quarry at Bonawe as well, although you’ll need to walk a few hundred metres to reach these. Camping is a very sensitive issue because of the nuisance and mess left behind by some, so keeping things tidy is important. Midges are the most obvious problem in August, and can be hellish on a calm evening. Also, don’t assume that you’ll get mackerel for bait easily – sometimes there are loads, sometimes they can be very hard to find, so I usually take my own. Is the tipi a Klondike? I wonder if I could pitch it single handed on a calm day if my mate isn’t around. It is a Klondike and is actually a really easy tent to pitch. I’ve put it up several times on my own without difficulty. It’s fairly heavy though, and can take a fair bit of drying/airing back home after a rainy night. Exceedingly comfortable with a pair of carp beds and log burner! That’s handy to know, I got one on Monday In Edinburgh & the stove & water boiler are in the post. 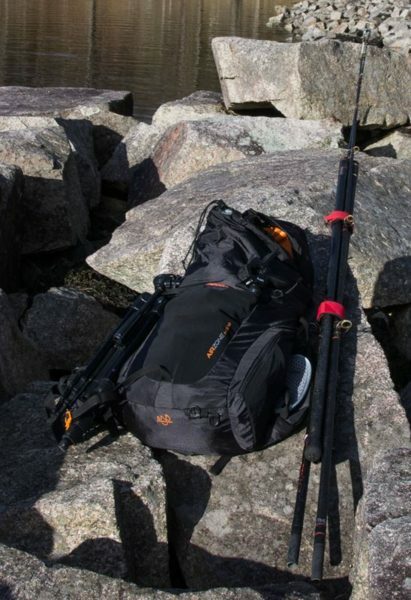 Loch Etive beckons for March with a big bag of sticks. I got an arran 16 last summer & we’re ready for the off (slowly) asap. Having sold our old bigger moored boat, this is summer No 1 for trailer sailer fishing Thanks for all the info on line, it’s a great help. See you on the water one of these days. 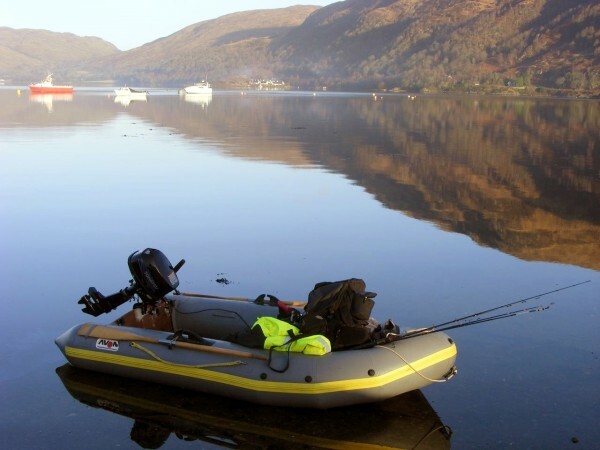 Hi Doug ,I did message a while ago saying your vids inspired me to get an Orkney LL, 17 ft, well I tried her at N wales , she was ok but very ploddy on the 9.9 Mariner 4 stroke, but My brother and I are taking her to visit Loch Etive ,in two weeks , can you tell me where Kelly’s pier is please , I would be on the A82 then A85 to Taynuilt ,would I then go left on the B845 past the Iron furnace ending at Taynuilt Pier ?or do I head towards the TBC to find Kelly’s Pier, Hoping for lure fishing from the boat and Camping for a few nights with a baited Rod out.Any tips for catching and finding Kelly’s pier please . The B845 to Taynuilt jetty is what you want, and you pass Kellys pier on the way (it’s just past the Bonawe Ironworks). If you hit Taynuilt jetty and the end of the road then you’ve overshot – best to avoid launching at Taynuilt jetty as it’s hard work. Launch on the stony beach just alongside the old stone pier and stick close in to the pier until you reach the end, as there is a pile of rock about 20 yards to one side of it. Best to launch near HW as the pier almost dries out. Check before you launch as there are the remains of an old telegraph cable near the top of the beach with a lot of sharp rusting wire! Drive 20-30 yards just beyond the Etive cruises car park on the pier itself and through the dodgy looking puddle to access the beach area (ground under the puddle is firm). Please don’t camp on the beach area as this upsets the locals, but no-one seems to worry about cars being left there overnight. There are some good camping spots well up the loch, but the boat will limit you a bit if you need to moor off. You can spin for pollack on Etive, but it’s not great and I spend most of my time bait fishing. Mackerel is all you need to target spurdog and ray, and just about anything else in there. Fish move about quite a bit, so don’t waste too much time in one spot if nothing bites. There’s dozens of fishy looking spots and holes on the chart, and most of these hold fish at times. You don’t need 500 feet of water to catch, and I generally fish anything between 120 and 300 feet. You do need an anchor and a decent amount of chain and rope though! Fantastic Doug ,thank you very much, I have a one man 6 ft plastic dinghy in case I have to ferry stuff to the shore , and have an anchor n chain for my L L. I am a keen naturalist as well as an Angler and I assure you I will be discreet, quiet and will leave nothing but a little wake behind my boat and some ashes from my camp fire. Cheers Doug. Hi again Doug , getting excited about my first fishing trip to Etive , with the Long Liner, we have decided as its such a long way, to spend 4 days on etive and then pop across to Oban to spend 3 days on the S coast of Mull , can you advise me on a good place to launch around Oban and a safe place to leave the Truck n trailer please ? thanks for any help. regards Bryn . The two main launch sites at Oban are Ganavan (seen in my videos) or at the Puffin Dive Centre at Gallanach. Ganavan is an old seaplane slip which leads on to firm sand and is easy to use with a public carpark at the top. The carpark may or may not be chargeable at this time of year, and I’m not sure how you’d handle a couple of overnights – you might need to phone the council on that one. 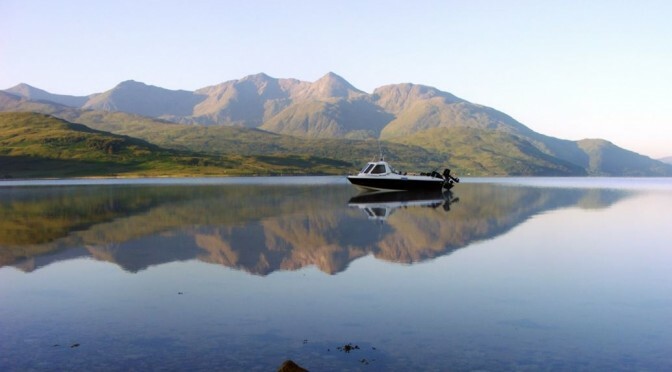 Gallanach is south of Oban and a little closer to the fishing, and you’d need to negotiate with the dive centre regarding costs and overnighting. The slip is perfectly OK, but it’s narrow and reversing onto it is a bit tricky. Most of the fishing here is done on near Kerrera, especially at the south end between the island and Mull. A few hundred metres W/NW of Bach Island you hit 500+ feet and this is where I tend to skate fish. 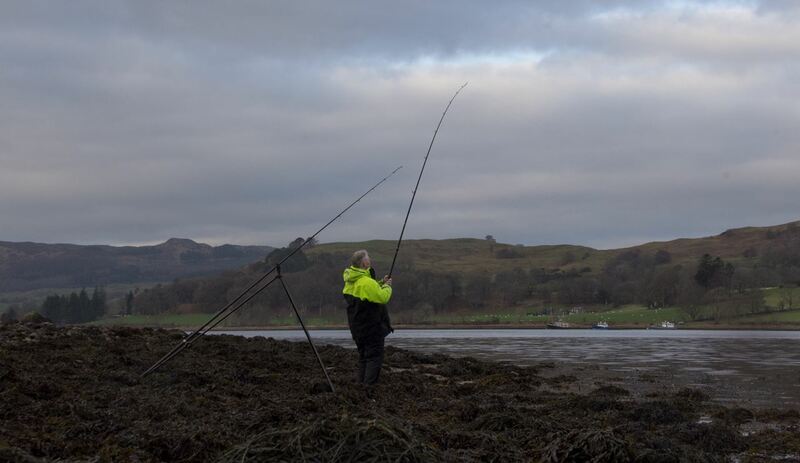 I’ve never done much fishing on the south coast of Mull, except from Loch Buie westwards, which is a long way from your launch point and very exposed to swell – this is pretty rough country and difficult to land except in very calm conditions. Loch Spelve might give you some options, but I’ve never been there. You don’t want to try for skate in a larger tide, and you’ll need something like 2lb of lead on a smaller one – no big tide run, but the depth has quite an impact on how you hold bottom. 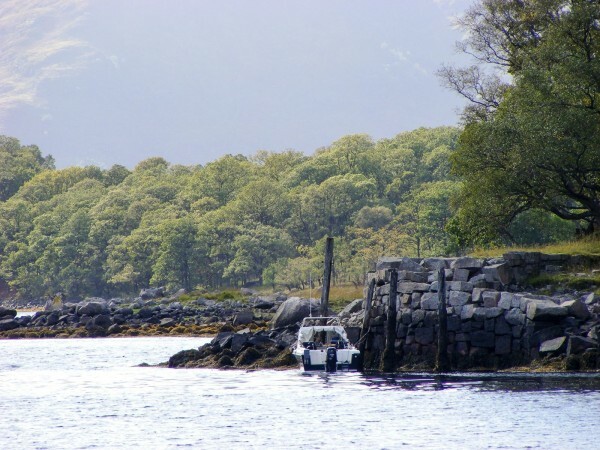 Your other option, if the weather isn’t great, is to head round to Loch Sunart and Lochaline, via the Corran ferry. More sheltered water and you can launch at several spots on Sunart, or using the ferry slipway at Lochaline (obviously, check the timetables!). Both can be dour spots, but offer decent skate, spurdog, ray and conger. Hi Ash, I carry 220m of rope and about 10m of heavy chain attached to a 5kg Bruce anchor. You’ll rarely be anchored in less than 100 feet of water and often up to 300 or more. 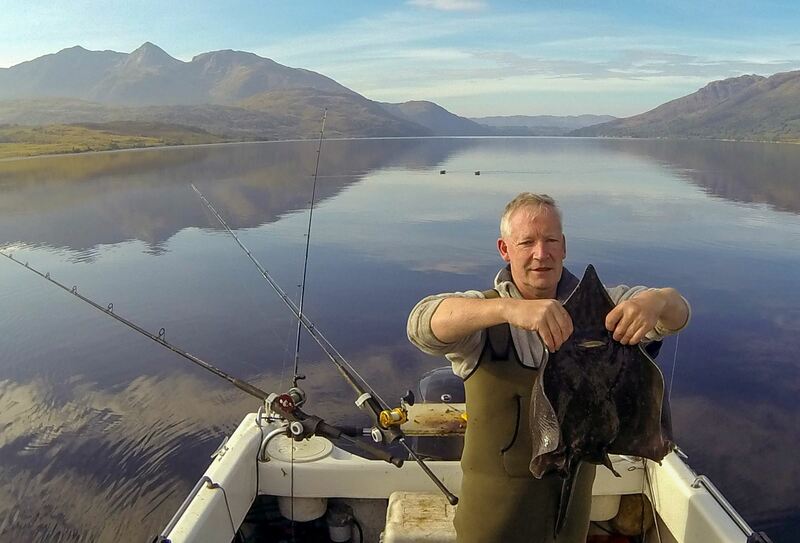 The deepest part of the loch is 500 feet, although I rarely fish there. For these depths you really need to use the Alderney ring method to retrieve the hook. When I’m mooring I just detach the anchor from my rope and attach an Alderney ring to the end of the chain – then feed my rope through the ring, with the ring acting as a pulley. Make sure both ends of the rope are firmly attached to the boat(!) then drop the anchor and power back ashore. I’ve found 220m is enough for this, although it can get a little tight at some spots. I only moor in calm conditions and you need to be aware that wind can funnel quite nastily down Etive. That’s exactly what I needed to know, better safe than sorry.